Rapper Coolio was forced to cancel a number of shows planned in Ontario and Quebec after the rapper was denied entry into Canada. We received the following message today from Coolio's agent: "Coolio has been denied entry into Canada and is regrettably unable to perform at confirmed shows in Toronto, Montreal, Ottawa and Quebec City because of this. An appeal will be made and there is every intention to revisit these dates later in the year, we offer our deepest apologies," wrote the management at Zaphod's the Ottawa club where Coolio was scheduled to play on July 25th. According to reports, a gun charge from 16 years ago got Coolio into trouble at the border. "He's been coming in and out of Canada for the past 15 years. Now this old charge is an issue, you guys never made a big deal about it before," his manager Blair Bryson told the CBC. 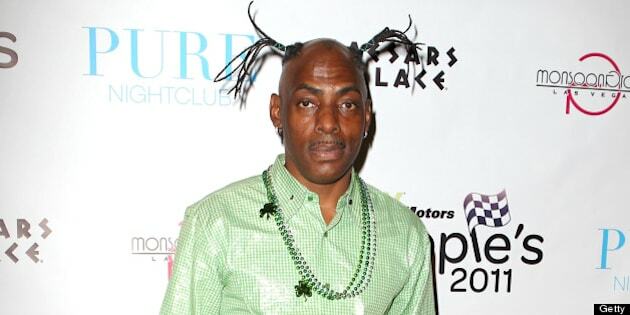 In 2009, Coolio was denied entry to Australia due to drug charges.